I adore my original recipe for homemade deodorant (see it HERE) and so does my husband. We are both super active people and this deodorant definitely holds up to our rigorous athletic activity. I’ve asked my friends and family to try my deodorant recipe and everyone agrees that it works amazing. But a few of my friends have broken out in a painful rash from the baking soda in my recipe. Not cool! Apparently that happens with some people who are sensitive to the ph of the baking soda. So I tried making them deodorant with a lower ratio of baking soda. Although the low dose of baking soda didn’t give them a rash, there was a big problem. It no longer worked at keeping them smelling fresh! I wasn’t about to give up on a homemade deodorant recipe for them, but I couldn’t find anything that worked without the high dose of baking soda. Then my friend, Kelly, from one of my favorite blogs, Oh Lardy, swooped in to save the day. She told me that she has the perfect homemade deodorant recipe for sensitive skin that actually worked. 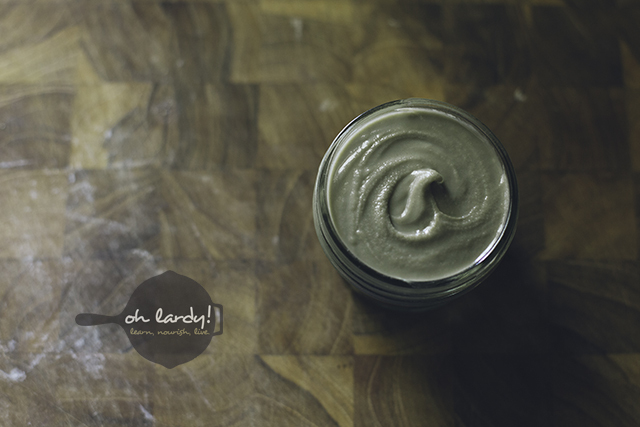 So I whipped up a few batches of her sensitive skin deodorant recipe and gave some to my sensitive friends to try. BINGO! We have a winner! I’m super pumped about her recipe and she is so graciously allowing me to share it with you below. 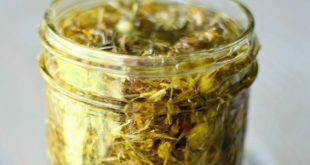 Mix all of your ingredients together and store in a small jar in your medicine cabinet! Your deodorant will be like a paste, so just scoop some out with your finger to apply. 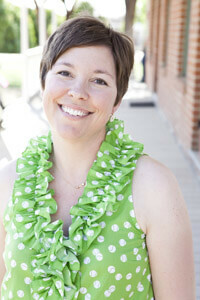 Kelly is a wife, mother, birth photographer, blogger and real food advocate/educator. She lives in Phoenix, AZ and is passionate about real food, health, and wellness. She keeps chickens, frequents local farmers markets, and scours Phoenix for the best food possible for her growing family! She writes over at Oh Lardy! about a variety of real food topics and she really enjoys spreading the good word about real food. Kelly’s blog, Oh Lardy, is a wealth of information for a real foodie so I hope you’ll check it out. She has a whole section on lacto-fermentation, and you’ll find tons of other goodies like a natural remedy for a cough, an awesome article on 10 ways to beat sugar cravings and a lot more. And please don’t forget to visit Oh Lardy (HERE) and connect with her through Facebook, Twitter and Pinterest! I hope you all love this recipe and give it a try! Making your own natural deodorant is so easy and is a great way to lessen your exposure to harmful chemicals. Thank you! I can’t wait to try this. I tried the baking soda version and reacted badly to it – but as far as controlling the smell it was hands down the best deodorant I had ever used.. I’ve been slowly tweaking that recipe to try to get one that works but doesn’t cause the rash or the side effect of having brown underarms. It looks like all I need to do now is try adding some clay! I have to give this a try. The traditional baking soda deodorant works fine for my husband but burns by pits badly. I’ve been looking for an alternative and this sounds great. What a genius idea to add some clay! would it work in this recipe, or your original one, to use the whipped coconut oil, so it doesn’t get too hard in the winter? I don’t have any bentonite clay, but I do have diatomaceous earth. Would that work? Hi Kelly, I just wanted to give you some feedback on this recipe. Yes, it does get hard when cold outside, but I just warm it up on my skin. It does not irritate my sensitive skin at all. I put it on around 9am this morning and just did a pit smell check at the half-way point (2:30 pm) and we are good to go. If I make it to this evening…color my impressed. If anything, we could carry it and reapply mid-day. This is a winter/fall time review…will have to wait until summer for the real review! Thanks for the update, Crystal!! I am curious, doesn’t the coconut oil get on your clothes and leave oil stains? I had used some coconut oil as a moisturizer one day and was trying on dresses for a friend’s wedding. It got all over the dress and I had to hand wash it with a toothbrush and Dawn dish soap repeatedly in order to get them out. I confess that I may not have let the oil saturate and absorb into my skin all the way before trying on my dress, but have any of you had this problem at all with this? I’ve found that the baking soda/arrowroot/clay really soaks into the oil and I’ve never had a problem with oil stains and can even get dressed right after applying it with no issues! Thanks Rebecca, loved reading this post!! Will give this recipe a shot. I’m curious if you ever use a brand called Lavilin? I’ve been hearing a lot about it in the news recently, so I’m considering buying some at Whole Foods. Yes, if it’s solid, you’ll want to warm it so it’s stir-able or melted. I’m following a course of homeopathy treatment for joint pain and bad acne problems, which are both interrelated due to toxin build up in the body. My homeopath has advised me not to wear foundation makeup anymore and not to use deodorant to avoid covering up important toxin outlets in the skin. For the last three months I have not been using anything at all and have been frequently washing, but it’s not ideal and I have become fairly self-conscious. Do you think I could use this natural deodorant instead or would it still clog and cover the important outlets for my toxins? Hi Frances! I think this would be perfect for you for a few reasons. It’s not an anti-perspirant so it still allows you to perspire. Also, the bentonite clay and the baking soda are both known for their detoxing toxin abilities. In fact, some people experience detox symptoms during the first week or two when starting this deodorant. You can double check it with your homeopath, but from what I’ve researched, it sounds like this would not only be a good deodorant option, but a beneficial one to help detox toxins from the body. Hope that helps! Thank you so much for this. This works great and doesn’t break me out or irritate my skin. So I just made my first batch of deodorant. I transferred it to a small container but it looks like play sand! It is very grainy and doesn’t still together. I envisioned it combining into a sticky mass or stick-like so I could apply it daily. Instead it resembles sand. I tried to apply a small amount and most of it fell to the floor during application. What should this look like? Help! Hmmm, that’s quite a problem. This is my go to recipe, and I don’t have this problem. I think it’s going to depend on the quality of your coconut oil? Try to pick a coconut oil that has a good soft texture when in a solid state that will work for this recipe. I use Nutiva organic brand coconut oil and it’s devine! I’m still on my same jar of this recipe using it daily for 4 mos. now. Oh no! Yeah, that definitely shouldn’t happen. It sounds like you need to add more coconut oil to the mixture. Try adding a bit more until it comes together to a consistency you like. I hope it works out for you! I live in AZ, so coconut oil melts easily…can I use unrefined shea butter in place of the oil? Yes that would be perfect! Cornstarch and arrowroot serve the same purpose in this recipe so yes, you can use it for a substitute. If you are concerned about GMO’s, look for organic corn starch. 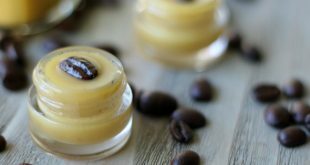 A few weeks ago I found a similar recipe for homemade deodorant, and I have been using it ever since. Every single commercially made deodorant I have tried in my life has worked in the coldest months of the year. As soon as it gets warmer, they don’t anymore, (I sweat like crazy and stink, and I had to retouch like every 2 hours or so). I must say, this homemade deodorant works wonders for me when it comes to protection and sweat. I can go all day long with the little dab I put on the night before after showering. That is a ‘win win’ for me, BUT!!! Unfortunately, baking soda gave me a bad rash, redness reaction, and now little warts are growing in my armpits and they are painful. Despite the bad reaction, this deodorant is amazing and I feel it works for me and I don’t want to go back to commercially made ones(OH NOOOO!!!) So looking for a solution, I came across this blog and I now am willing to tweak the recipe and pour less BS and add the clay and see what happens. Now, about the clay, what brand should I look for? Where can I purchase it? I was looking at Walmart site and they have one called ‘Aztec Secret’, an unscented one from ‘Life Flo Health and another one in a pouch from ‘Frontier Bulk’. Any other suggestion? Thanks in advance and please excuse my long comment!!! I reduced the baking soda and added the clay to my deodorant…still irritated I CAN’T EVEN PUT MY ARMS DOWN!!!. Someone told me another option would be adding 100% shea butter and 100% cocoa butter but I can’t find it anywhere besides online and the shea alone $69.99 for 4OZ!!! REALLY?!?! Help please!!! 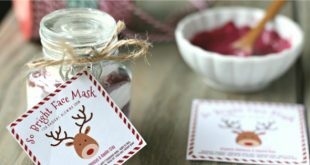 Keep me posted if you try the cocoa butter and shea butter mixture – I sure hope that does the trick. Oh no! Thank you so much, Cher! Will fix it now. I appreciate you telling me!! If I want to make it more solid to go in a deodorant container would adding beeswax do the trick? If so how much would you recommend? Hi Nichole! This actually stays solid at temperatures below 76 degrees! But I love the idea of adding beeswax to make it solid in warmer weather, too. 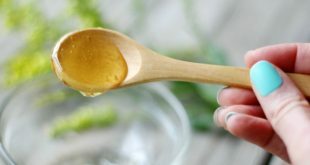 I’ve never tried it with beeswax so I can’t say for sure this would work, but in my experience with beeswax, I would add 3 tablespoons to this recipe. Let me know if you try it! I absolutely love this deodorant! I use it before very intense workouts and I never smell! I have tried many all natural brands and none worked as well as this or they gave me a bad rash. Thanks so much for posting this recipe:) I will keep making it over and over! Awesome, Amy! Thanks for the feedback! Been using this for two days, starting to get a rash…..is it from clay pulling out impurities or baking soda reaction? It could be either, Lorene. I would discontinue it for a few days! This may be crazy but would tapioca starch work too? I went to make some more tonight and that’s all I had. Thanks! I have had the burning reaction from the baking soda but am against commercial deodorants! I simply use a small amount of coconut oil, 2-3 drops of tea tree oil and then 5 drops of any other essential oil i feel like – usually grapefruit or lavender depending on my mood. I stay fresh smelling for about 8 hours. The key for me is to put the oils on right after my shower and let them dry before putting on my clothing. Thank you for your advice, Mia! Sounds great!